Asap Revitalising Bodymoist is a refreshing essential oil blend that smoothes, tones and intensly hydrates the body. It contains AHAs to stimulate and promote collagen and cell renewal while the Green Tea helps to protect skin against free radical damage. For best results, use after exfoliating with asap revitalising bodyscrub. Apply generously to clean dry skin. Essential oil blend includes Grapefruit, Grape Seed, Olive, Rosehip and Avocado oils. Apply generously to clean dry skin. For best results, use after exfoliating. I purchased the asap Bodymoist after comparing it to similar products currently available. The special price on offer through RY was the decider. I have found it to be a very effective body moisturizer. I have been using it for a few weeks now and it seems to have good staying power, but the real test will be over the summer months. I'm not a fan of the fragrance, but this doesn't linger for long so don't let it put you off. I will be interested to see the results after using it for a few months. Worth purchasing if within your budget. 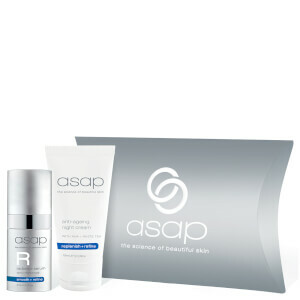 I chose that asap Bodymoist after comparing with other similar products currently available and chose this based on the price on offer through RY. I haven't been disappointed with my purchase. I have found it to be an effective moisturizer after a few weeks use and the real test will be over the summer months. It seems to have good staying power. I'm not a huge fan of the fragrance, but this doesn't linger for long so don't let that put you off. Would I purchase again? Yes and I'll be interested to see the results after continued use for a few months. Definitely worth a try if within your budget.